Myra Estrine Levine was born in Chicago in 1920. In 1944, she earned a diploma in nursing from the Cook County School of Nursing, then went on to complete her Bachelor of Science in Nursing from the University of Chicago in 1949. Her Master's of Science in Nursing was given to her from Wayne State University in Detroit in 1962. She earned an honorary doctorate from Loyola University in 1992. Nebraska and administrative supervisor at the University of Chicago. She served as a chairperson of clinical nursing at her alma mater, the Cook County School of Nursing, and as a visiting professor at Tel Aviv University in Israel. 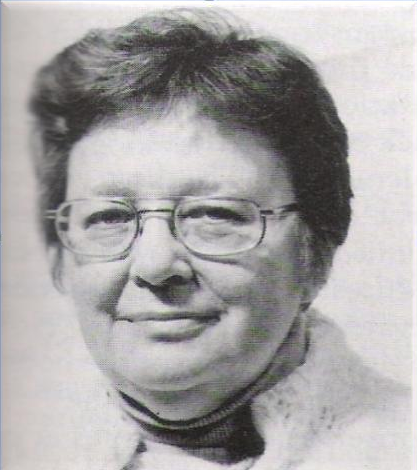 She is known for her publication, Introduction to Clinical Nursing , which was first published in 1969, with additional editions printed in 1973 and 1989. Levine developed the Four Conservation Principles. In this model, the goal of nursing is to promote adaptation and maintain wholeness using the principles of conservation. The model guides nurses to focus on the influences and responses at the level of the organism. Nurses accomplish the theory's goal through the conservation of energy, structure, and personal and social integrity. According to Levine, every individual has a unique range of adaptive responses. They vary by heredity, age, gender or the challenges that come with experiencing an illness. The responses are the same, but the timing and manifestation of the responses are unique to each individual pulse rate. Adaptation is an ongoing process of change in which the patient is able to maintain his or her integrity while staying within the realities of the environment. This is achieved through the "frugal, economic, contained and controlled use of environmental resources by the individual in his or her best interest." Wholeness exists when the patient's interaction with the environment allows integrity to be assured. Wholeness is promoted by the use of the conservation principle. Conservation is the product of adaptation. It is the achievement of a balance of energy supply and demand that is within the unique biological realities of the individual patient. The conservation principle has four aspects: conservation of energy, conservation of structural integrity, conservation of personal integrity, and conservation of social integrity. Conservation of energy refers to balancing how energy goes in and out of the body to avoid fatigue. It includes adequate rest, nutrition, and exercise. Conservation of structural integrity refers to maintaining or restoring the physical body and promoting physical healing. The conservation of personal integrity recognizes the patient's need for recognition, respect, self-awareness, and self-determination. In this area, for example, a nurse will honor a patient's need for personal space. The conservation of social integrity addresses the patient's interactions and relationships with other people, such as in a family, community, or religious group. In this theory, nursing is a profession and an academic discipline, and should be studied and practiced in harmony with all disciplines that make up the health sciences. Nursing involves engaging in human interactions. Levine states that the goal of nursing is to promote wholeness, while realizing that every individual requires a unique cluster of activities to achieve wholeness. The patient's individual integrity is his or her concern, and it is the nurse's responsibility to assist him or her to defend and seek the realization of that individual integrity.